In the summer of 1941, it became fairly clear that Japan was not disposed to work out a peaceful settlement in the Far East. The German attack on Russia which began in June, if successful, would remove the threat from the East and give the Nazis freedom of action in the West. In the Pacific, we had no friend of sufficient strength to hold off the Japanese until we could raise and deploy military forces. it was imperative that, while giving all aid possible to the British, Russians, and Chinese, we retain and enlarge the armed forces that had been built up. Our vital interests in the Pacific were threatened by impending Japanese moves. The capacity of the Russians to resist was a factor yet unknown. The freedom of our ships to sail the seas had been challenged. In this perilous situation, we were threatened with the dissipation of our military forces. The expiration of the year of training provided by the Selective Service and Training Act of 1940 was approaching. It was of paramount importance that the existing forces be maintained; their continuance in service required action by Congress. Although many other issues were urgent, these questions had to be subordinated for a time to the primary problem of obtaining decision on the basic matter of keeping under arms such forces as we had. On July 21, the President asked for legislation to authorize continuance in service of selectees, National Guard and Reserve components of the Army and the retired personnel of the Regular Army. He also asked for the removal of restrictions on the number of selectees that might be inducted each year for training and service. This proposal was the occasion for widespread propaganda questioning the President's good faith in making this request. It was charged that he was seeking to build up a dictatorship and to lead the Nation into war without its consent. It was denied that the interests of the United States were threatened by the military developments daily taking place in Europe and Asia. make dispositions of troops as the circumstances warranted and to move on various domestic questions which had been crying for attention but which had been postponed until settlement of the paramount question of the maintenance of the forces in being. During the following weeks further steps were taken quickly in the improvement of defense organization; several major agencies acquired, in the essentials, the form and functions which they were to exercise, under other names, during the entire war. This stage had been reached by a zig-zag route and had necessitated involved judgments concerning the state of public opinion, the desires and strength of different elements within the Administration and the public generally, and the changing needs of governmental management as the defense program grew. The complex process by which the administrative mechanisms for defense were built suggests that under circumstances of uncertainty of national purpose a full-blown organization for defense or for war cannot be erected in time of peace without placing severe strains on the coalition of interests supporting the Government. However that may be, as these administrative steps were taken, further attacks on American vessels occurred. The international situation became worse rather than better. The stimulus of heightening danger and the shifts of personnel and organization made it possible to accelerate all phases of preparation for defense in the months before Pearl Harbor. In rounding out the defense organization, refinement of organization for the guidance of production received first attention in the establishment of the Supply Priorities and Allocations Board by Executive order of August 28, 19416 This action was the culmination of several stream of development. The Office of Production Management, created early in 1941, had been under pointed public attack, partly because it was headed by a "partnership" consisting of a Director General and an Associate Director General. In fact, the "partnership" was not at the root of the troubles of OPM. Action on this point, however, would relieve tension induced by criticism. In reality, a more significant problem was that of working out a proper division of functions between the Office of Production Management and the Office of Price Administration and Civilian Supply. 1941, the President's priority power was broadened. The new statute gave power to require that priority be granted to certain orders not placed directly by the Army and Navy. Thus, orders for the "Government of any country whose defense the President" deemed vital "to the defense of the United States" might be granted priority. Orders "necessary or appropriate to promote the defense of the united States," such as those for housing in defense production areas, might receive priority. The new statute also enabled the assignment of priority ratings to subcontracts or suborders necessary to fulfill a rated prime contract. Finally, the statue granted power to allocate scarce materials in such manner as might "be necessary or appropriate in the public interest and to promote the national defense." Thus, specific authority to determine the relative essentialilty of different civilian uses of materials and commodities was granted. Whatever doubt existed about the legal power to determine whether scarce aluminum should be used in juke boxes or cooking utensils was resolved. met, "deliveries of material and equipment necessary for the construction of locomotives" should "be given preference over all material and equipment going into any other civilian use." Under the existing administrative arrangement,s it then became the responsibility of OPM to apply this policy in reviewing applications for priority in the acquisition of materials for different civilian uses. OPM officials disliked to have to execute programs formulated by OPACS and the administrative arrangement did contain inherent difficulties. More significant in the friction between the two agencies, however, was the fact that the jurisdiction of OPACS over civilian needs gave it license to be critical of the rate of progress by OPM in converting civilian industry to defense purposes. Rivalries between OPM and OPACS as well as the suitability of the division of authority between them under an expanding production program became involved in the consideration of how the President should delegate the broadened priority authority. To whom was the power to be delegated and how would the delegation affect relations of the Office of Production Management and the Office of Price Administration and Civilian Supply? The solution of these questions gave rise to a bitter controversy between the two factions within the Administration. The Office of Price Administration and Civilian Supply, headed by Leon Henderson, and manned chiefly by career civil servants and personnel from universities and research institutions, was widely regarded as a New Deal agency. The Office of production Management, on the other hand, had filled most of its key positions with persons from business and industry. Although they were charged with protection of the civilian economy, the OPACS personnel fought a continuing battle to reduce civilian production in order that defense output might be increased. The Office of Production Management was accused of delaying the defense effort, of underestimating requirements for materials and facilities, and of hesitating to take bold measures for expansion lest industry find itself with over-capacity after the war. Undoubtedly there was some truth in these charges. The top personnel of OPM was considerably ahead of the Army and Navy in their estimates of defense needs. Among subordinate officials in the organization, however, there were those who, like people generally, were dubious about the necessity for preparedness. Because of the different composition of the two agencies their conflict came to be pictured as a debate over the level of effort that should be devoted to defense preparation. needs. It was becoming necessary to formulate a broad economic strategy. How could what we had be used to the greatest national advantage? To what extent, for example, should we devote our materials and manufacturing capacity to meet the needs of railroads, and how should their needs be weighed against that for automobiles? How should domestic civilian and military requirements be treated in relation to those of friendly nations in this hemisphere and elsewhere? All these needs had to be weighed against other export requirements mixed with diplomatic considerations. How much tin could we spare to persuade Portugal not to help the Axis? Was it more important that we devote materials to the manufacture of short-wave transmitters for propaganda broadcasts or that we use them for Signal Corps equipment? Questions of priority in the broadest sense were becoming urgent. The composition of the Council of the Office of Production Management--the Secretary of War, the Secretary of the Navy, and the Director General and Associate Director General of the Office of Production Management--was not one to assure due consideration of all factors involved in the allocation of resources. The Council was weighted in favor of the Army and th Navy, while the defense of the United States required that careful attention also be given to export and lend-lease needs. With the increase of pressure on our resources, it was becoming necessary to provide a more appropriate mechanism to settle issues of allocation, a consideration which was urged by the Director of the Bureau of the Budget. Mr. Bernard Baruch also urged the centralization of priority authority and the control over production--both civilian and military--in a single agency. The complex situation was not made simpler by the inevitable struggle among individuals for position, or, perhaps more accurately, the struggle of their friends in their behalf. If responsibility for production management and for determination of broad policy for allocation of resources were to be more highly centralized, some individuals would gain in power; others would lose. Moreover, individuals were still on trial. Sooner or later, enormous authority had to be vested in a single individual, but who should that individual be? The leading figures in defense organization had demonstrated qualities both of strength and weakness. For the heavy responsibilities which were ahead, no person stood head and shoulders above his associates. Considerations looking toward a further trial of individuals, therefore, worked their way into the solution of administrative issues presented by the dispute between the Office of Production of Management and the Office of Price Administration and Civilian Supply. Charter had been concluded, the President was free to devote attention to problems of production organization. The Director of the Bureau of the BUdget had been conducting studies and negotiations for some time and on August 18 he presented to the President several alternative plans together with a statement of the issues and considerations involved. The formulation of a solution required several transfers of high-ranking personnel to positions to which their talents were more suited and the modification of proposals based purely on administrative considerations by factors of political feasibility. In the negotiation of the final details and the necessary personnel adjustments, the President relied upon Judge Samuel I. Rosenman, his special counsel. The diverse ingredients of the situation produced the Supply Priorities and Allocations Board, a policy group superimposed over the Office of Production Management. It consisted of the Chairman of the Economic Defense Board, as chairman, the Director General and Associate Director General of the Office of Production Management, the Price Administrator, the Secretary of War, the Secretary of the Navy, and the Special Assistant to the President supervising the Lend-Lease Program. The general administrative theory of SPAB was that the chief officials of the principal agencies with stakes in the allocation of our resources would be brought together for consultation, in order, as the Executive order read, "to assure unity of policy and coordinated consideration of all relevant factors involved in the supply and allocation of materials and commodities among the various phases of the defense program and competing civilian demands." The Secretaries of War and Navy could speak for direct military needs. The chairman of the Economic Defense Board and the Special Assistant to the President supervising the lend-lease program could participate with knowledge of the urgency of export needs. The Price Administrator (who also headed the OPM Division of Civilian Supply) could contribute information on essential civilian needs as well as indirect defense needs and could bring to bear in the deliberations of the Board considerations of economic stabilization. The participation of the Director General and Associate Director General of OPM was calculated to assure a coordination with the general program of requirements of the work of OPM in stimulating the construction of new facilities, in programming the import of strategic and critical materials, and in allocating the available supplies of goods and materials among competing uses. Later the Secretary of Commerce, under whose direction RFC subsidiaries constructed plants, imported materials, and conducted other operations to increase supplies, was designated as a member of the Board in an effort to assure better coordination of his actions with the general program of industrial requirements. Determine the total requirements of materials and commodities needed respectively for defense, civilian and all other purposes; establish policies for the fulfillment of such requirements, and, where necessary, make recommendations to the President relative thereto. Determine policies and make regulations governing allocations and priorities with respect to het procurement, production, transmission, or transportation of materials, articles, power, fuel, and other commodities among military, economic defense, defense aid, civilian, and other major demands of the total defense program. Mr. Donald M. Nelson, who had been Coordinator of National Defense Purchases for the Advisory Commission and Director of the OPM Division of Purchases, was made Executive Director of the Board. In all these positions his stature had grown and he showed promise of bridging the gap between conflicting groups within the Administration. He was designated as Executive Director of the Board with the hope that he would later be able to assume heavier responsibilities, should the necessity arise. The functions of the Office of Price Administration and Civilian Supply in the allocation of the residual supplies of materials among competing civilian uses were transferred to the Office of Production Management in which a Division of Civilian Supply was established. This Division was headed by Mr. Leon Henderson, who also became in his capacity of Price Administrator a member of the Supply Priorities and Allocations Board where he could participate in policy deliberations. The Office of Price Administration and Civilian Supply became simply the Office of Price Administration. The Chairman of the Economic Defense Board, the Vice President, was made Chairman of SPAB partly to avoid a clear victory for either of the contending factions and partly because of his zeal for preparedness. The Executive order also centered the administration of all types of priority policy in the Office of Production Management and made this office, acting under general policies fixed by SPAB, superior to other governmental agencies whose collaboration was required to effectuate priorities actions. as an equal. However involved the administrative structure was, the maneuvers eventuating in the establishment of SPAB were steps which gradually were bringing together into a working whole, elements of the Administration which had diverse notions about how the defense program should be managed. No one of these groups had either the right view or all the skills required, but step by step they were brought to work together as the administrative structure evolved. moreover, admirers of the niceties of logical administrative charts are sometimes confounded. Defense production was 15 percent more in September than in August when SPAB was created; it was 26 percent greater in october than in August. No casual relation can be inferred between the order of August 28 and the upward production trend. On the other hand, in evaluating production organization at the time such figures are not to be ignored. The composition of SPAB created a situation more favorable to the Administration's policy of aid to Russia. The COuncil of the office of Production management was weighted against aiding Russia. Inclusion of Messrs. Wallace, Henderson, and Hopkins in the membership of SPAB strengthened the hand of the President in checking the disinclination of the armed forces to allocate industrial materials to Russia. Transfer of the civilian supply function from the Office of Price Administration and Civilian Supply, made virtually irrevocable the administrative separation of price control from prouduction control. This basic decision was made without a great deal of consideration of its future consequences, although there was an awareness that the way was being prepared for some administrative difficulty. It was contended in some quarters that control over price and production should be in the same hands. Practically, there were drawbacks. Organizations such as the Office of Production Management, were by their nature colored strongly by producer interests which ordinarily are not enthusiastic about price control. An agency such as the office of Price Administration could develop a vital interest in price control, and its staff, by design, consisted chiefly of persons divorced from producer interests. It cannot be said, however, that such calculations were dominant in the separation of price and production control. That action was the culmination of a sequence of administrative actions which began with the assignment of functions in the National Defense Advisory Commission. The adviser on price stabilization of the Advisory Commission established himself as the chief exponent of price control and as a man who understood some of the complexities of the problem and who was courageous enough tot undertake an unpopular but essential task. With the organization for determination of production policy refurbished and improved by reassignment of personnel, the way was clear to proceed more vigorously and more rapidly with the production program. There was no sharp break with the general direction of movement during the first two-thirds of the year, but the tempo was accelerated during the few months before Pearl Harbor. A strenuous effort was made to reconsider the Nation's needs for raw materials and to meet these needs by increasing imports and domestic capacity. The problem of allocating resources among civilian, military, and foreign uses became increasingly difficult with the competition most keen between military and Russian requirements. Measures were adopted to divert larger quantities of materials from domestic civilian production to military uses. SPAB inaugurated a systematic review of requirements for raw materials particularly and began to initiate measures to augment supplies. The problem of measuring requirements had two basic aspects: What did we need in the way of military items--guns, tanks, planes, ships, and so forth? What raw materials did we require to meet these needs and other needs which might be placed upon the economy by war? The question of requirements for military equipment and supplies was one for the military authorities, but the production agency continued to urge the services to raise their sights. In the middle of September Mr. Knudsen reminded the War Department that he had remarked repeatedly on the inadequacy of the program for antitank guns and other ordnance items and declared it was imperative that the production objectives should be adjusted upwards. in the appropriate numbers. For the importation of materials, there was so much shipping space and no more. All the space could not be used for bauxite; cryolite also had to be on hand for use in processing the bauxite. The materials program had to be balanced with proper emphasis on all its phases. 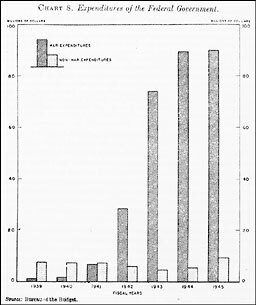 The unreasonable character of the Industrial Mobilization Plan estimates may be evidenced by the fact that total military needs of aluminum for 2 years of maximum effort for the 4-million-man Army was less than 500 million pounds; for copper the total was 25,000 tons; for silk 13 million pounds. At the present time it appears that the requirements for aluminum for military purposes will be considerably more than 1 billion pounds; for copper nearly 1 million tons; for nickel 180 million pounds (total supply); and silk 3 million pounds. Obviously the Industrial Mobilization Plan estimates for the 4-million-man effort bear no relationship to the realistic demands under the present program. Insofar as the Navy is concerned, most of the estimates we have received represent guess work. There is neither the basic material for doing the job satisfactorily nor the inclination to develop the staff needed for estimating raw materials needed in the Navy Department. Time after time a check of the estimates has indicated the need for almost unbelievable revision upward or downward in the originally submitted figures. As long ago as last fall we discussed these problems with the Navy and time after time they were shown that the estimates were completely out of line with any realistic approximations. Practically no progress in this direction has been made in the Navy Department. Existing estimates of military and civilian requirements are extremely diverse because of the many different assumptions, many of them necessarily combining the unsociable qualities of being both imaginary and arbitrary, on which they are based . . . Estimates of Army requirements in 1942 are based on the report of the Army-Navy Munitions Board. These data were adjusted upward for some supply arms . . .
Navy estimates are based on reports from the Navy Department, again with upward adjustments . . . For example, a higher steel requirement for Navy building is estimated than that shown by the Bureau of Ships which showed decreasing quarterly requirements throughout 1942. Furthermore, Navy estimates for ammunition provided for reserves (on ship and shore) to match the expansion of the fleet without any allowance for expenditure other than target practice. 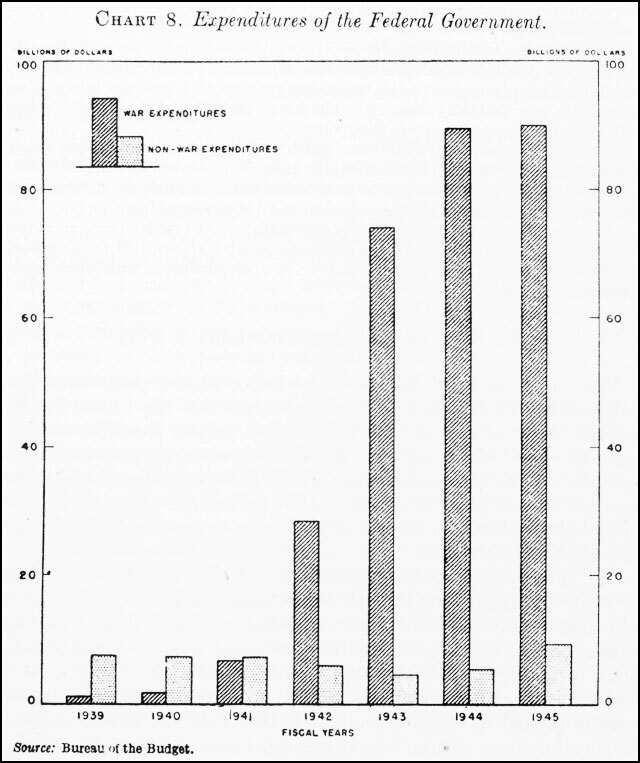 Because of the current situation in the Atlantic area, these figures were doubled for large projectiles and trebled for antiaircraft projectiles. The Board instituted a systematic review of the supply-requirements position of all materials likely to be critical and adopted policies which seemed to be appropriate. Indicative of the shift in attitude was the order of October 2 to increase steel capacity by 10 million tons a year. In this and many other questions, the linkage between order and action was not always effective; the threat of overcapacity aroused resistance, both administrative and industrial. After all, perhaps there might not be a war. Action was under way, however, and in some instances considerable progress was made in stockpiling and in the development of new capacity. SPAB had the job of determining requirements and of initiating measures to increase supply. It also had the job of dividing what we had among competing uses. 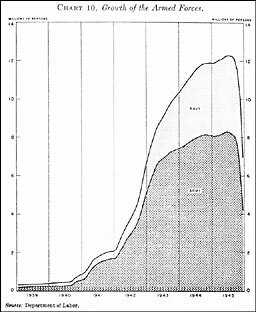 Frictions over division increased as the pressure on supply became greater. The issue was most acute in allocations between Russian requirements and those of the United States military forces. On October 7, 1941, the President approved the Moscow Protocol under which it was agreed to furnish certain materials to Russia. On October 23, SPAB issued orders for allocation of materials and equipment to meet the protocol undertakings. But the Board had to reaffirm its decision at almost every meeting over opposition from the Navy Department. In November, the Secretary of the Navy opposed transfer of aluminum to Russia with the argument that its industrial areas were in danger of conquest; but the Board ordered aluminum sent to Russia and suggested that perhaps the Navy could use something other than aluminum for furniture on its warships. Machine tools also were allocated to Russia over strong Navy protest. In carrying out the Moscow Protocol commitments, the Board was acting under specific Presidential instructions. During November, the President also rejected a proposal by the Secretaries of War and Navy to establish a super-priorities committee on which the armed services would have been dominant and from which the members of SPAB who supported the President's Russian policy would have been missing. National Defense Appropriation Act, 1942, became effective and made available almost $6 billion more for military and other defense-aid items.8 Meantime, the Reconstruction Finance COrporation had been authorized to issue an additional $1.5 billion in notes to finance activities of its subsidiaries in the construction of war plants and in the purchase of strategic and critical materials.9 All these appropriations reflected a sharp upward revision of needs and the realization that enormous productive power remained untapped. Intense criticisms that production was "too little and too late" in Congress and in the country stimulated official action. immediate impact of the change-over from normal production to defense production struck little business harder than it did big business. A considerable time lag was inevitable before subcontracts filtered down to small concerns. Whatever one concludes from the tangled mass of fact, the failure to plan and to organize adequately for utilizing the facilities of small concerns illustrates a type of difficulty often overlooked by mobilization planners. The deprivations and connected reactions consequent upon the operations of mobilization may endanger the entire process. Dramatic action was needed and, in September, the President established within the Office of Production Management, a Contract Distribution Division.11 This Division which succeeded the OPM's Defense Contract Service and was a precursor of the Smaller War Plants Corporation, conducted a spectacular campaign of publicity to bring to the attention of small manufacturers the opportunities to use their plants in the production of "bits and pieces." Its work allayed the anxieties of small businessmen to some extent, but it was merely another in a series of agencies that did not succeed completely in coping with the problem of utilizing the facilities of the thousands of small business enterprises, a problem of extreme administrative complexity. coordinating body. Its creation had been a stop-gap in maneuvers among agencies and factions within the Administration for primacy in economic foreign policy, and its establishment check-mated those who wished military control of that policy. In its early consideration of ways to meet some of these problems, the Supply Priorities and Allocations Board agreed on September 3 in a preliminary fashion, that the Office of Export Control should become a part of the Office of Production Management. Export requirements could thus be brought into the general supply-requirements calculations and the OPM could grant priority ratings which would assure the delivery of sufficient goods to meet the essential needs of friendly nations. This move was checked after the BUreau of the Budget pointed out the importance of export control in the larger context of economic foreign policy and defense and the general relation of SPAB to exports contemplated by the plan underlying the creation of SPAB. On September 16, SPAB agreed to request the president to designate an agency to provide it with total requirements for exports other than defense aid. On September 15, an Executive order was issued which enlarged the role of the Economic Defense Board by transferring to it the functions and staffs of the Office of Export Control and the Division of Controls of the Department of State.12 By this action, the Economic Defense Board became an operating agency as well as a general planning and coordinating body. it could execute its export policies through the licensing of shipments. It could prevent goods reaching our enemies and it could give preference to our friends. The way was paved for removing some of the confusion created by the division of functions between the Office of Export Control and the Division of Controls of the Department of State. The order left unsolved the vexing problem of assuring reflection of the interests of the Department of State in the policies of the Economic Defense Board. It also left import policy, determined by the Board, to be executed by the defense subsidiaries of the RFC, a relationship subsequently to cause trouble. clearance for such proposals from the several Federal agencies concerned with the control of exports and financial transactions incident thereto." The Vice President announced on September 17 that the new arrangement assured that the Office of Export Control would "be more closely integrated into the broader work of the Economic Defense Board . . ." He stated "The international crisis requires a determined intensification of our policy of preventing shipments to Axis-dominated countries. At the same time, we must help see to it that other nations in that part of the world which is still free get enough goods to maintain the stability of their own economies insofar as that is possible. This is particularly important in the western hemisphere." 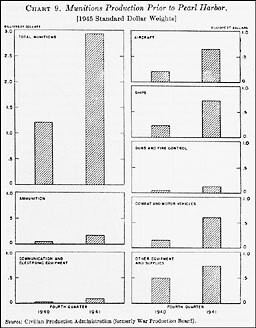 Since the Economic Defense Board had only limited responsibilities in lend-lease transactions, Latin american requirements loomed large in its export work. In this area, the Board was a potential competitor of the Coordinator of Inter-American Affairs, whose office had been concerned with our economic policy in this part of the world. By agreements between the Coordinator and the Vice President, the Coordinator was made a member of the Economic Defense Board and the staff of the Coordinator's Commercial and Financial Division was merged with the executive personnel of the Board engaged in western hemisphere matters. The combined unit was to report to the Executive Director fo the Board in some matters, to the Coordinator in others. Export policy toward the American Republics was one of the first matters to receive the attention of the Supplies Priorities and Allocations Board. These countries were cut off from their normal European sources of supply, and maintenance of their friendship was a fundamental element in American policy. The Economic Defense Board recommended to SPAB that the American Republics be treated equally with civilians in the United States, and this became the general policy. Presidential instructions in April had directed the Office of production Management to "make appropriate provision for the satisfaction of essential Latin American requirements for industrial and consumer nonmilitary goods and materials." As supplies became more scarce, the policy required refinement in detail, but the general standard of parity furnished a basis for judgment. Thus, if steel were not available for the construction of amusement parks in the United States, it would not be exported to another American Republic for that purpose. 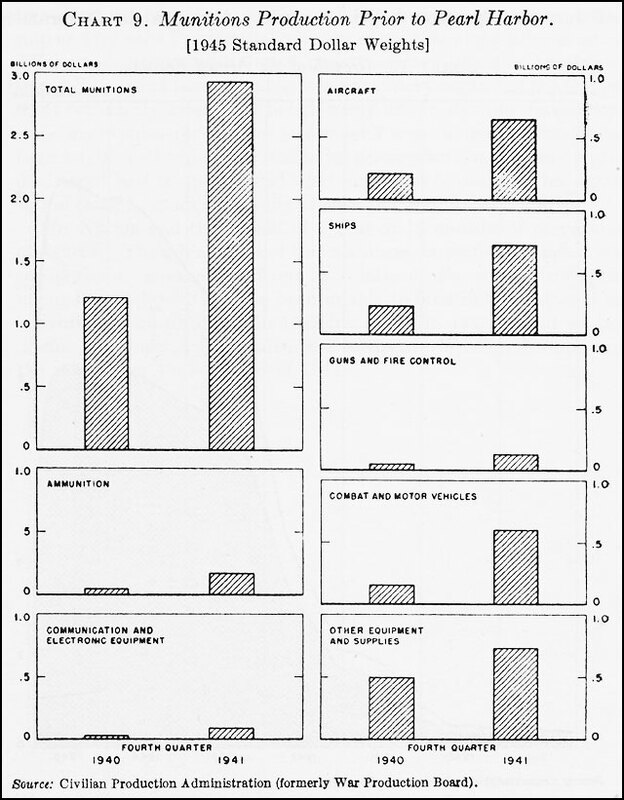 In turn, Latin American countries adopted export control systems of their own to prevent the flow of defense materials and articles outside the hemisphere. was announced. Mr. Edward R. Stettinius, Jr., was transferred from the Division of Priorities of the Office of Production Management to head the administration of lend-lease. As an interim arrangement, to serve until the general administrative problems would be reexamined, Mr. Stettinius was designated on September 16, as Special Assistant to the President in connection with the lend-lease program, thus formalizing an arrangement previously announced. Lend-lease continued to be a matter of high policy and White House oversight was maintained. in a letter to Mr. Stettinius, signed concurrently with the letter of designation, the President wrote: "Harry Hopkins is, of course, familiar with the administration of lend-lease, and I hope you will consult with him and with me where matters of major policy arise." The Office of Lend-Lease Administration was formally established by Executive order of October 28, 1941. OLLA absorbed the Division of Defense Aid Reports. Power delegated to the Office enabled it to handle many matters which until then had required the signature of the President. The order read: "Subject to such policies as the president may from time to time prescribe, the Administrator is hereby authorized and directed . . . to exercise any power or authority conferred upon the President by the [Lend-Lease] act and by the Defense Aid Supplemental Appropriation Act 1941, and any acts amendatory or supplemental thereto, with respect to any nation whose defense the President shall have found to be vital to the defense of the United States." In the preparation of the Executive order defining the powers of the OLLA, modifications of the initial draft reflected efforts to cope with the administrative problems created by the existence of three major agencies concerned with foreign affairs. The interest of the States Department found expression in the provision of the final order that "the master agreement with each nation receiving lend-lease aid, setting forth the general terms and conditions under which such nation is to receive such aid, shall be negotiated by the State Department, with the advice of the Economic Defense Board and the Office of Lend-Lease Administration." Similarly, a measure of coordination between the Office and the Economic Defense Board was envisaged by the provision that the Lend-Lease Administrator should "make appropriate arrangements with the Economic Defense Board for the review and clearance of lend-lease transactions which affect the economic defense of the United States as defined in Executive Order No. 8839 of July 30, 1941." by the polls, was to keep American ships out of danger areas, but this view was modified with the trend of events and the closer and closer identification of our interests with those of Britain. The trend of opinion appears in chart 7. Chart 7. 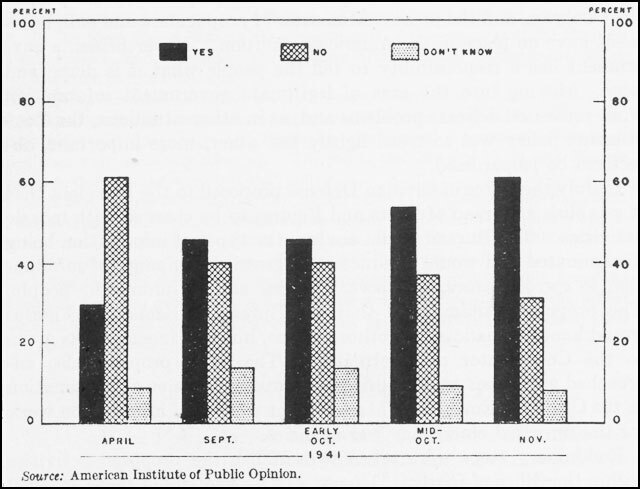 Public Opinion on Aid to Great Britain. The question asked was: "Should the Neutrality Act be changed to permit American Merchant ships with American crews to carry war materials to Britain?" The tempo of events speeded up during consideration of revision of the Neutrality Act. Between the time the question was raised by the president and the approval of the act, the U.S.S. Kearney was attacked, a more hostile cabinet assumed office in Japan, the Reuben James was torpedoed, Ambassador Grew warned that Japan might "resort with dangerous and dramatic suddenness to measures which might make inevitable war with the United States," and Secretary Hull informed the Cabinet that relations between the United States and Japan were extremely critical. accentuated in time of crisis when tempers run high and the public mind is divided. The structure of the American Government provides in Congress forum in which it is possible to attack Administration leaders, to question their motives, and to doubt their integrity without providing an opportunity for face-to-face debate between critics and those responsible for the conduct of administration. On the other hand, leaders of the Administration can continue desultory ways without having to meet face-to-face the criticism of men in Congress who are equally devoted to the general welfare. Yet dissemination of information to the public by the Administration is apt to be regarded as propaganda and to be viewed with suspicion by the people, the Congress, and the press. Ministries of propaganda and enlightenment have no place in the American tradition. Nevertheless, a government has a responsibility to tell the people what it is doing and why. Moving into the area of legitimate government information work presented delicate problems and, as in other situations, the Government policy was to tread lightly lest other, more important, objectives be jeopardized. In July, the Office of Civilian Defense proposed to the President that it establish a Bureau of Facts and Figures to be charged with morale activities. The Bureau would analyze the types of information being disseminated and would conduct an aggressive campaign of information to correct errors, to answer charges, and to inform the people. The proposal contemplated that the Bureau of Facts and Figures would handle broadcasts to other nations, but this function was given to the Coordinator of Information. The OCD proposal also encroached somewhat on the jurisdiction of the Division of Information in the Office for Emergency management, which did information work for the principal emergency war agencies. available to the Office information and data "to facilitate the most coherent and comprehensive presentation to the Nation of the facts and figures of national defense." I think that it is easier to talk about the job in terms of its distinctions from certain other jobs of a like kind that have been done or are being done. The first distinction, perhaps, and the easiest, is to distinguish if rom the Creel operation. In the FIrst World War all the departments of Government spoke through one mouthpiece, and, therefore, the question of a common Government policy on information didn't come up. In this war the Administration is very strongly determined to have the departments speak through their own mouthpieces, their own information services, maintaining their autonomy; and hence, the problem of a common information policy does very decidedly come up. THe job of the Office of Facts and Figures is to try to develop and work out that policy. I'd like to make one other distinction, which I don't think is necessary but which I'd like to make for my own satisfaction, the distinction between this kind of operation and the propaganda office of a totalitarian state. I think the difference is the difference between the strategy fo terror and the strategy of truth.
. . . The Office of Facts and Figures is established, as I understand, upon the assumption that the people of a self-governing country are entitled to the fullest possible statement of facts and figures bearing upon conditions with which their Government is faced. The attack on Pearl Harbor both vindicated and condemned the policy of the United States. The predictions that the United States was in danger of attack were fulfilled, but neither foresight nor intelligence had been adequate to foresee with certainty the exact time and place of attack. The voices which had demanded preparation were justified by the turn of events, but we had not been able to mobilize industrial or military strength sufficient to permit quick assumption of the offensive. were opposed by those who still twisted the lion's tail. Those who urged more rapid mobilization were met with the argument that mobilization inevitably meant war rather than defense. All these shades of opinion were reflected in the Congress and they could not be ignored. Yet the singleness of purpose of the Administration and of like-minded members of both parties in Congress provided sufficient political consensus to permit substantial preparation for what did happen. Chart 9. Munitions Production Prior to Pearl Harbor. Source: Civilian Production Administration (formerly War Production Board). however, was an incomplete measure of accomplishment, for construction was under way on plants and facilities which soon would be ready to add to the flow of war goods. The groundwork had been laid for the rapid rate of increase of output which was to occur in the following year. We had also, a substantial military force inducted and in training. 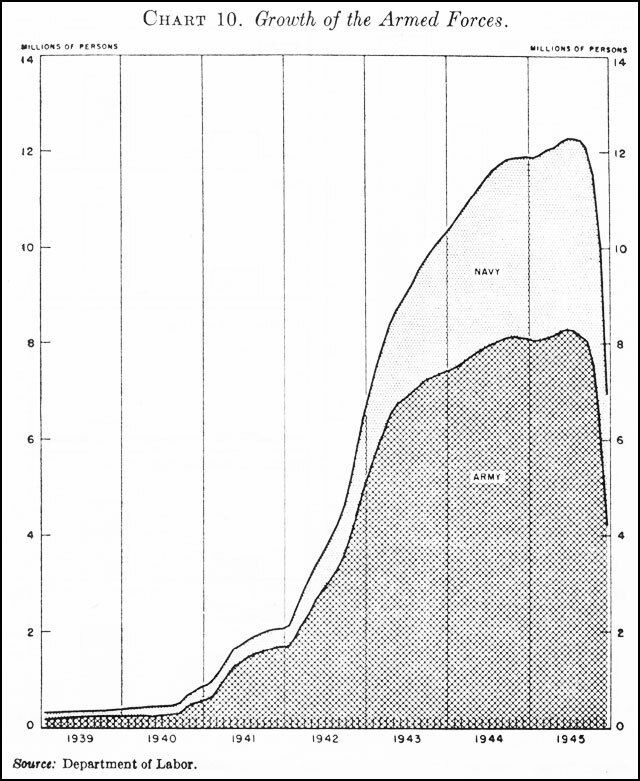 At the end of 1941, the total strength of the Army and Navy exceeded 2 million (chart 10). An immense program to construct camps and other training facilities was under way. Facilities for training of additional forces were either ready or under construction. Chart 10. Growth of the Armed Forces. had been criticized consistently for the nature and slowness of its administrative actions, the fact remained that the agencies destined to become the major war agencies had been built up. These organizations could not spring up overnight. Men had to be persuaded to come to Washington, and working organizations had to be developed. These men had to acquire or develop a perspective bigger than their company or industry before they could be fully effective. The steps by which we reached the administrative status existing at the time of pearl Harbor coincided roughly with expansions in the defense program which, in turn, placed different kinds of demands on the Government's administrative system. Further, the evolution of administrative structure had been tangled with the problem of political leadership and with the Presidential problem of maintaining a balance among different elements and different departments within the Administration. 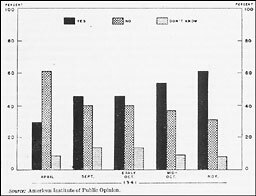 The broad issue of public versus military control of the Government repeatedly arose. Although many administrative changes were to be made subsequently, by December 7 a working organization had been established which was staffed by persons who had learned a great deal about how to operate and what needed to bed done. This organization could be modified readily as emerging conditions required. The Nation had the benefit of a year or 18 months of preparatory measures. The advantages of this readiness, imperfect though it was, can perhaps be measured if one speculates on the consequences that might have followed had we been unable to land in Guadalcanal and in North Africa until late in 1943 instead of in 1942, or had we been unable to mount a force adequate to invade Western Europe until the summer of 1945 instead of 1944. 1. Congressional Record, vol. 87, pt. 6, p. 6149. 2. Senator Capper, Congressional Record, vol. 87, pt. 6, p. 6816. 3. Congressional Record, vol. 87, pt. 6, p. 6881. 4. Congressional Record, vol. 87, pt. 6, p. 7001. 5. Congressional Record, vol., 87, pt. 6, p. 6908. 6. Executive Order, No., 8875, Aug. 28, 1941, 6 Federal Register 4484. 10. Senate Document No. 161, 77th Cong., 2d sess., p. 23. 11. Executive Order No. 8891, Sept. 4, 1941, 6 Federal Register 4623. 12. Executive Order No. 8900, Sept. 15, 1941, 6 Federal Register 4795. 14. Congressional Record, vol. 87, pt. 7, p. 7769. 15. Senator Vandenberg, Congressional Record, vol. 87, pt 8, p. 8251. 16. Congressional Record, vol. 87, pt. 7, p. 8041. 17. Congressional Record, vol. 87, pt. 8, p. 8680. 18. Congressional Record, vol. 87, pt. 8, p. 8891. 20. Executive Order No. 8922, Oct. 24, 1941, 6 Federal Register 5477.